Ergo Original Grip - Black Firearm Grip | BUDK.com - Knives & Swords At The Lowest Prices! 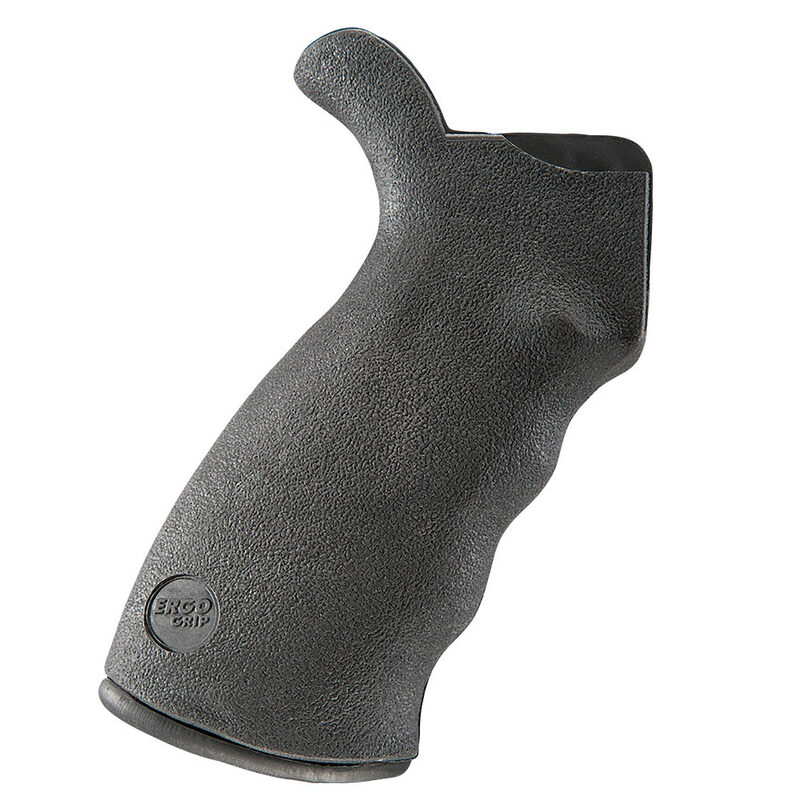 The original Ergo Grip, developed by Steve Hines, was the first truly ergonomic, shooter focused grip for AR platform rifles. An Ergo Grip is the standard by which positive grip and shooter comfort are measured against all others because Ergo Grip focuses on the shooter. This grip is designed with an integrated rear upper extension to support the web of your hand. Made of Superior Rhino Hide texture, it fits AR-15 type firearms in .223.